Maker’s Mark. This bourbon has been sold in a very distinctive bottle sealed with red wax since 1954. In addition to great packaging and taste, you can count on its 45% alcohol by volume / 90 proof the same way you can count on the annual Kentucky Derby at Churchill Downs. Or can you? In The Washington Post, “Maker’s Mark reverses decision to cut amount of alcohol in whiskey, restores historic level” on February 17, 2013, we learn that Maker’s Maker actually considered adding water to its award winning product (dropping its alcohol volume from 45% to 42%), due to excess consumer demand. Immediately, consumers passionately responded via social media against this change and actually preferred a mild shortage of the product over altering its composition. Maker’s Mark quickly recognized its folly and scraped plans of the product change. In planning to water down its product, this great bourbon not only ignored the economics of supply and demand (thoroughly discussed in this great Forbes article) but also the emotional attachment customers had with Maker’s Mark brand. Adding water to Maker’s Mark, literally and figuratively dilutes this powerful spirits brand. Quick marketing lesson: in its simplest definition, a brand is “a delivery of promise.” This promise (product or service) can be delivered via functional and emotional benefits to the desired customer. 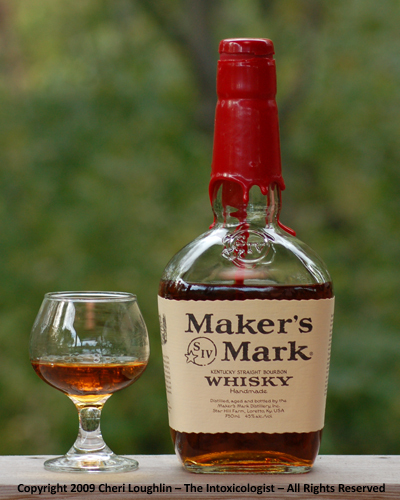 When Maker’s Mark delivers its promise, customers expect a quality product at 45% alcohol volume. Altering its composition would be no different than changing the formula in Coca-Cola or revamping the packaging of Tropicana Orange Juice. Customers develop an emotional attachment to the brand that they have come to expect over decades. Are you perceived as an expert in the work you are doing? Are you perceived as someone who has potential to grow? Are you perceived as coachable and open to feedback? Are you perceived as quick and efficient? Are you perceived as authentic? Are you perceived as clear in your communication on setting expectations and delivery of work? Are you perceived as different/unique? Are there areas to enhance your current subject matter expertise? Are there professional development opportunities to add managerial/leadership skills to your tool kit? Are there strategic projects that you could be working on in the organization? Are there industry association leadership positions where you could raise your profile? Engage brand ambassadors – Who are the people who can speak to your great gifts and talents? Ensure they are part of the process, as you evolve your brand goals. It is easy for you to say that you are great, but it is more believable when the message comes from your ambassadors.